Feeling more nostalgic these days? No surprise! From product reintroductions to marketing campaigns, everywhere we look we see marketers vying for our affection for happy memories. 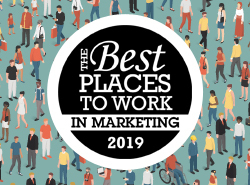 Some standout examples are Old Spice’s “Smell Like a Man, Man” and “Youland” campaigns, the revamped Ford Mustang, and the recent launch of Kodak’s “camera-first smartphone” and its Kodakery. Then there’s Coca-Cola which, despite its many iterations, regularly unveils retro bottles or line extensions from the past, such as Coca-Cola’s Surge (#SurgeComeback). 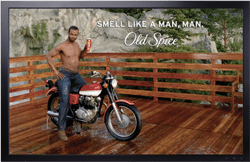 The Old Spice, “Smell Like a Man, Man” campaign played on the nostalgia marketing trend. Possibly even more evident of late are entertainment companies of all genres rebooting old favorites such as Gilmore Girls, Lethal Weapon, Star Wars and Pokémon Go—to name a few. Many marketers assume the inherent emotion associated with nostalgia will yield success. That it’s less risky to resurrect a previously successful brand than to create an entirely new (unproven) one. But this strategy could backfire if a retro brand’s positioning lacks relevance. Think RadioShack, Twinkies, Polaroid and Atari. All thriving brands at one time, but their respective reboots failed. Research conducted for brands across a variety of sectors confirms that while nostalgia might prompt consumers to notice a brand, it might not inspire behaviors such as purchasing. In fact, it can be a costly mistake to assume nostalgia marketing will drive your brand’s success. 1. Nostalgia rarely resonates on its own Some marketers mistakenly believe that nostalgia is so powerful it can be the sole pillar of a brand’s persona. Market research tells us that in most cases nostalgia must be infused with other emotional and rational brand attributes and benefits to effectively activate consumer purchasing. Multi-dimensional branding is usually most effective when it comes to nostalgia marketing. The primary reason behind this is that nostalgia does not provoke consumer love, which is potentially the most powerful driver of consumer behavior. In fact, one large-scale study conducted across industries with more than 300 brands and 6,000 respondents, confirmed this strong correlation between brand love and desired consumer responses. 2. Nostalgia is received differently across generations Marketing nostalgia is especially tricky across age groups. This shouldn’t come as a surprise since it’s rare for any marketing strategy to be equally effective among all generations. As a marketing expert, you know that what motivates Millennials to purchase a brand is often different than what’s effective with Boomers. Add nostalgia to the equation and there’s an even bigger disparity since nostalgia focuses on a snapshot from the past, which obviously differs based on your age. A brand that aims to evoke fond memories for a Boomer must be careful to not appear antiquated and old-fashioned to a Millennial. Not only does what’s nostalgic differ across generations, so does the why. Boomers respond favorably to nostalgia because it takes them back to a time reminiscent of youth and often filled with fond memories. Even teens can feel nostalgic toward brands. While they may not appreciate marketing focused on their parents’ experiences, they do have strong connections to their own childhood memories. Brands tailored to a specific generational segment are easier to market using nostalgia than those intended to have universal appeal. This isn’t to say it’s impossible for nostalgia to resonate across age groups. In fact, smart marketers figure it out every day. The relaunch of Mad Libs, originally inspired by a fourth grader who years later in 2009, as President of Penguin Publishing’s Young Readers, led development of the successful Mad Libs interactive mobile app and brand. With over 6 million downloads, it is a brilliant example of a nostalgic brand that is timeless and appropriate for all ages. For Boomers and Gen Xers it’s infused with nostalgia that provokes fond memories. For Millennials and Gen Z it addresses their need to be playful and have fun, and now that it’s an app, it certainly offers modern-day relevance. 3. When targeting immigrant populations, nostalgia can send mixed messages When marketing to foreign-born consumers, it’s critical to understand if a brand is relevant to the heritage of the audience’s respective country-of-origin, and if so, what was the native brand persona. Global brands such as Coca-Cola, Colgate, McDonalds and Starbucks can connote different emotions and experiences from country to country. Marketers must also consider the degree to which a consumer has acculturated to their adopted country. Those less assimilated may embrace a nostalgia message because reflecting back on their homeland provides comfort. On the other hand, those who have become deeply rooted in U.S. culture may feel the brand negates their progress. 4. Nostalgia can counteract other desired brand attributes Many companies work hard to obtain a leadership position in their industry, often promoting brand innovation via technological and scientific breakthroughs, as well as cutting-edge products and solutions. While nostalgia can promote leadership by touting a brand’s legacy and imprint on our lives and society, a look backwards could negatively contradict other brand attributes. It is therefore critical for a company’s brand management to carefully assess the value and role of nostalgia so to avoid conflicting messages between nostalgia driven product lines and those fueled by other characteristics, such as innovation. This is especially pertinent for companies with a portfolio of brands. 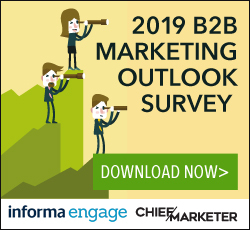 Marketers who take steps to avoid these nostalgia marketing pitfalls often do bring nostalgia products and campaigns to the marketplace that are both “buzzworthy,” and very importantly, strong business successes. There’s a huge role for and opportunities presented by nostalgia marketing that should not be ignored. Is your brand among those destined to take a walk down memory lane? Steve Markov is president and managing director at Coherency Marketing. He can be reached at smarkov@coherency.com.